Flan’s Mod is a massive mod full of customizable vehicles, guns and armor. It’s the ultimate war and mechanical pack and works especially well for multiplayer servers. It’s really a mod host of sorts that contains several other mods. You can download the content packs from this link here. 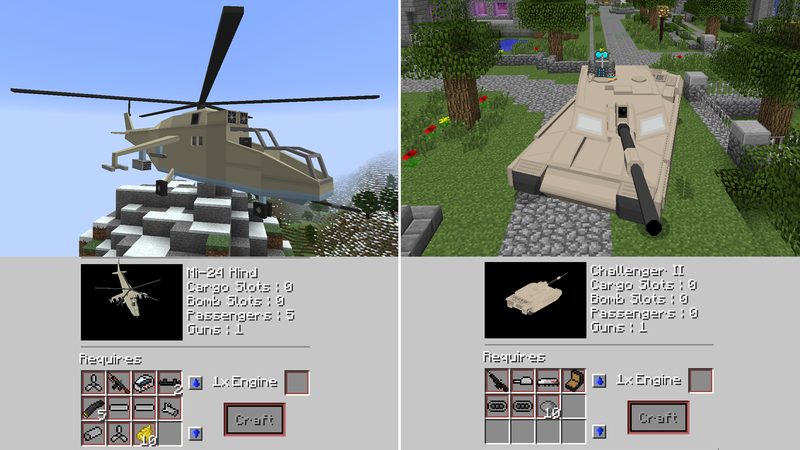 Content packs contain the information for the mod to read and create the containing vehicles, guns, armor and/or parts. They’re like instructions for the mod to follow. Most of the content packs will come with special crafting benches. These will contain the necessary materials to be able to put together a much larger vehicle or weapon. 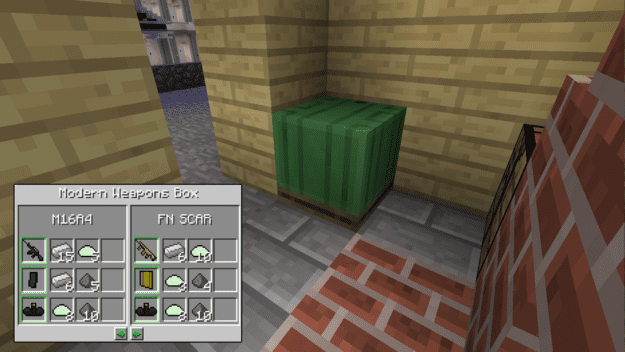 All you need is to have the right parts in your inventory and if the bench indicates you have the correct materials, it will allow you to craft the item. Depending on the content pack you may also be able to upgrade said vehicle or weapon with better add-ons. You can turn your world into a first person shooter with this mod. Challenge yourself by putting the game in the hardest mode and fight off hordes of zombies. Minecraft may be notorious for not having any sort of guns but Flan’s mod now gives you that option. Bring your world out of the dark ages and into modern times. Rid yourself of the need for bows and arrows and arm yourself with an automatic. 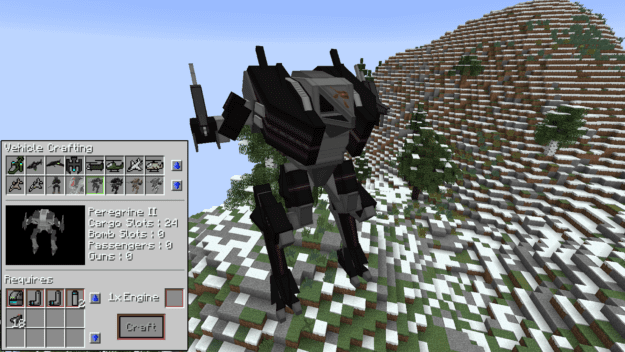 So if you want vehicles, new armor, guns or even battle mechs, Flan’s mod has a seemingly endless supply. 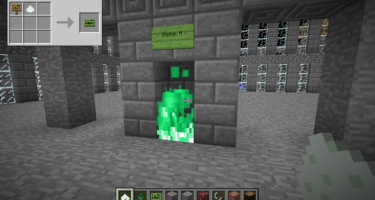 This mod will definitely take some trial and error to get used to but if you have a flair for mechanics and want to apply that to Minecraft then this Mod is worth it. This mod will take crafting to a whole new level. I have the mod installed but I don’t see any vehicles or guns. What do I do? Go to his forum and install content packs. ive downloaded a content pack but how do you install them? do you drop them into the mods folder? no install contents packs and then install flans mod then drop the flans mod into the mods folder then do it again go to .minecraft then drop the contents packs into the flans folder if there isnt any create new folder name it flans! (-) I don’t have forge already installed. Now run your Minecraft Launcher. Click “New Profile” in the bottom left. Give the profile a name and select a directory for it. (This should not be the default directory, you don’t want to overwrite your vanilla worlds) In the “Version Selection” section, scroll down the “Use Version” drop-down and select “release_1.7.10-Forge…” (There will be version numbers after “Forge”). If done right, the main Minecraft menu will say “Minecraft Forge” with a version number in the bottom left. Now continue on to the next section to install Flan’s Mod. (-) I have already installed forge. Copy the “Game Directory” and navigate to it in your computer’s file browser. Now open the “mods” folder. 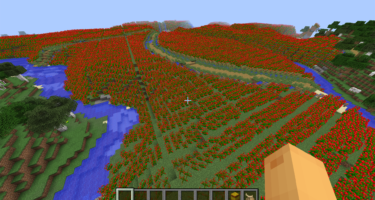 Download the latest version of Flan’s Mod (above). Drag the downloaded FlansMod-x.x.x.jar into the “mods” folder. Now run Minecraft through the launcher and quit. Returning to your game directory, there should be a “Flan” folder. Put all the content pack zips (don’t extract them) in the newly created “Flan” folder. Run Minecraft again and you should be good to go. If you go to the install guide on this page, you can find out how to install this mod. I installed the mod and its content packs, however, for some reason I can’t shoot any of the guns? All the vehicles work, but I just can’t shoot the guns. I checked the controls and everything to. Anyone know how to fix this? Do you have the ammo for the respectable guns in you inventory and or did you hit r key while ammo is in inventory? This has to be in the top ten best mods in the world!i am right about to try this!I’ve seen so many things on youtube with this mod and its content and donload the content packs then open the game dir then go to where it says “flan” Then put the content pack into the flan folder then close the dir (but first save it) then start the game and it should work!five stars 1 million thumbs up and nice job! I also can’t shoot any guns. 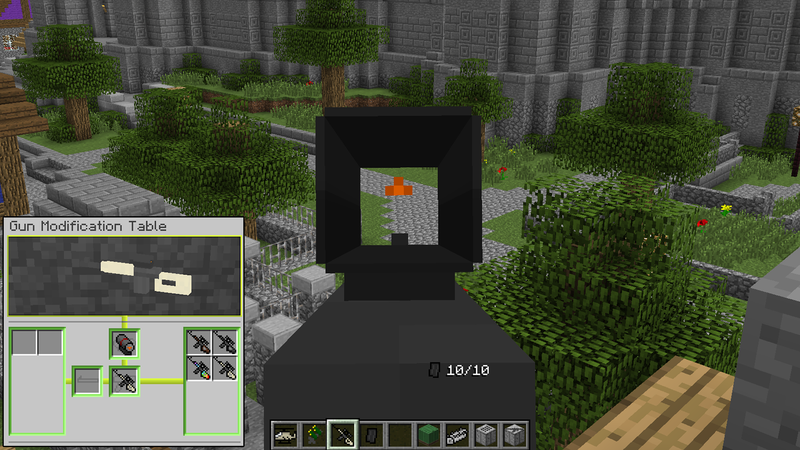 When I left click (which is what I heard you are supposed to do) the gun just zooms me in. Can anyone tell me how to shoot a gun? I have the WW2 pack and the simple parts pack installed. First get the ammo made for the gun you have. Then hold your gun. Then hit r or right click while holding the gun. At the right hand corner of your screen, it should show how much ammo is left in the gun. For the bombers in WWII pack, the bombs won’t drop. Anyone know what the problem is and how to fix it? 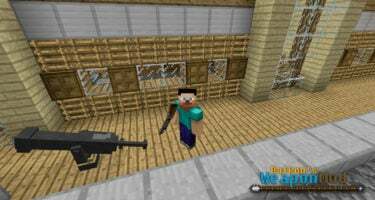 IN this mod can you make like a world war 2 and if you shoot someone will they die immediately. Some of the guns won’t insta-kill but just use the Ak-74 or the Ak-47 and they most likely die in 3 or 4 bullets. Head shots do critical so use a sniper when ur far away from them. does it add the parachute mod? I love this mod, it’s so cool. And I love mods with weapons and helicopters and so! when i download this it goes to dropbox page and says that this file is no longer available do you know how to fix this? 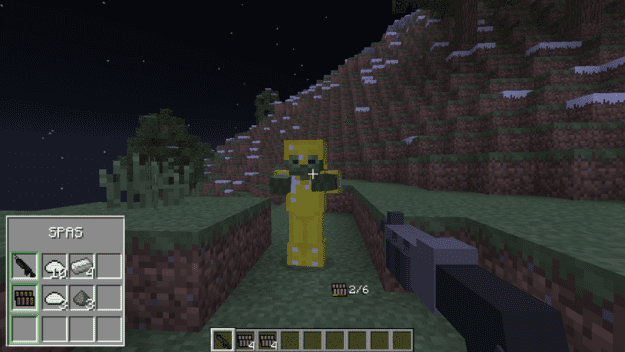 This mod is completely EPIC I love it the different ways you can defend yourself opposing mobs.